If you’ve been following American politics lately, you no doubt have heard comparisons between Donald Trump and Richard Nixon. They’re hard to avoid, especially as the Trump administration is under investigation for colluding with Russia. At the heart of both Watergate and the Russia investigation is election tampering. That’s what makes Slate’s podcast Slow Burn so timely. 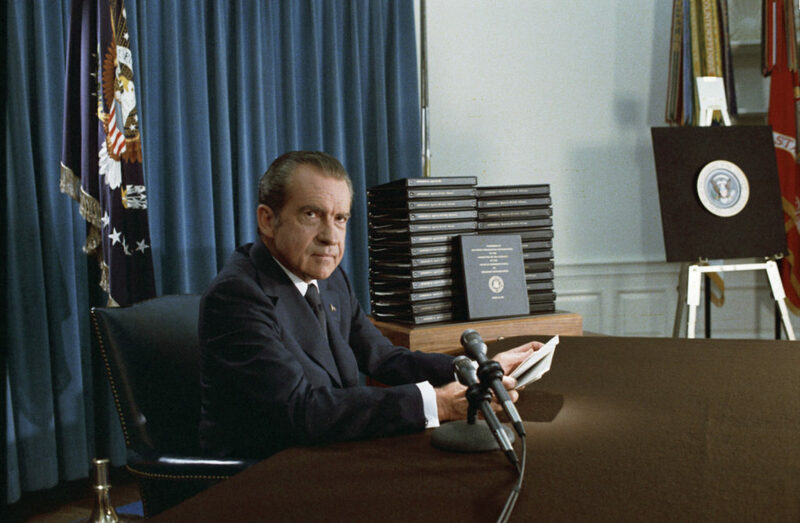 It’s a show that looks back on the Watergate scandal through the eyes of the people who lived it, including former Congressional staffer Curtis Prins, former Senate investigator Scott Armstrong and veteran journalist Lesley Stahl, who recalled that in the early days of the Watergate affair, the media didn’t take it very seriously. Listen To The Whole Episode! This is just one segment from the whole show! Click here to explore the entire episode, including interviews with comedian Larry Wilmore, environmentalist Bill McKibben and the hosts of New Hampshire Public Radio’s “Powerline” series from Outside/In.